This special T-Shirt will help you or anyone wearing it to make sure everybody else knows that everything is OK and you just gotta catch ‘em all. 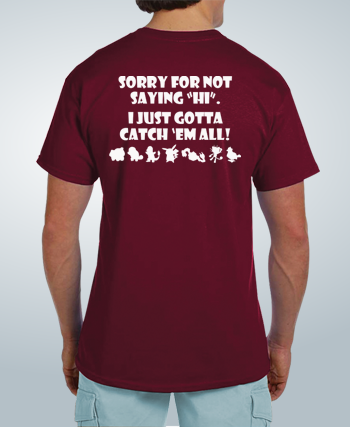 When you're walking down the street and looking at your phone while in the game this shirt can be really useful. Printed on shirt's back. Order your T-Shirt now. Limited summer edition.